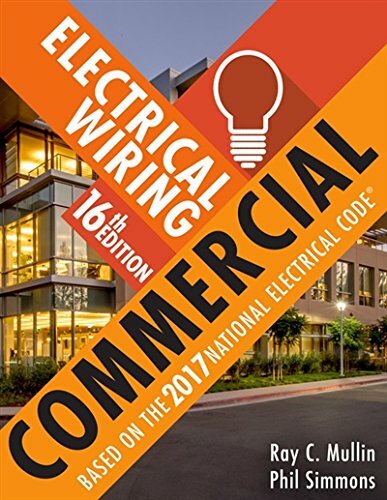 Completely revised and up to date with the 2017 National Electrical Code, ELECTRICAL WIRING COMMERCIAL, Sixteenth Edition, offers the most current coverage available. This reader-friendly text has long been trusted by instructors and popular with students. Known for its vibrant, full-color illustrations and photographs, the text bring even difficult concepts to life and makes complex material easier to understand. In addition to updates based on 2017 NEC, the Sixteenth Edition features increased emphasis on green technologies, new developments in electrical design and installation, and safety in the workplace, providing ample coverage of topics you'll likely encounter as a working professional in this dynamic field. If you have any questions about this product by Ray C Mullin PHIL SIMMONS, contact us by completing and submitting the form below. If you are looking for a specif part number, please include it with your message.